Gridley, CA -- Butte County Office of Education Child Development Programs and Services (CDPS) has been serving children and families in the Gridley area with a preschool program since 2003. 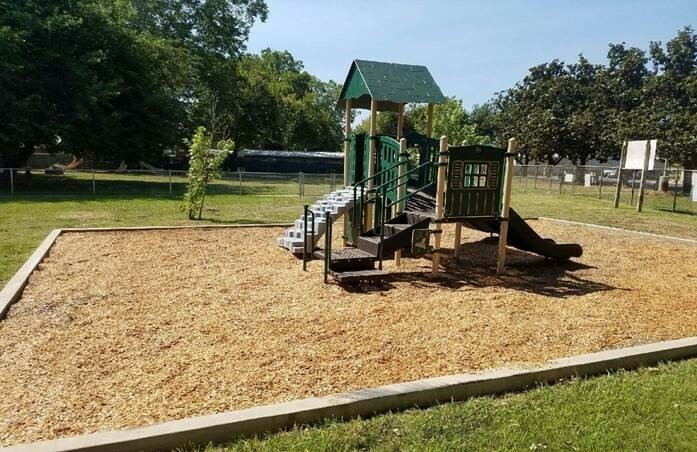 CDPS has a longstanding relationship with the Butte County Housing Authority, and recently erected a new playground structure at the Authority's Gridley location. BCOE CDPS Director, Heather Senske, said BCOE staff "worked with the teaching team to choose equipment to provide activity and physical development opportunities for healthy, happy, thriving children." The new playground structure pictured here is located at the Gridley Children's Center. For more information, contact: Colleen Dugan, BCOE CDPS Direct Service Coordinator, 532-5638.